What’s your favorite pie? Mine is strawberry rhubarb, without a question. When it’s the season (mid spring here), and both strawberries and rhubarb are available in the market, it’s the one pie that we must make. Do you cook with rhubarb? It looks like pinkish red celery, or the stems of really fat swiss chard. In the store you’ll only find the stems, as the green leaves are poisonous. The stems however, are tart and delicious, especially when cooked into a pie or cobbler. I know, it’s weird. Rhubarb is a vegetable that behaves like a fruit. Rhubarb grows wild in many parts of the U.S. (not here in Sacramento unfortunately). My father remembers when he was a kid in Minnesota, picking it from the back yard and dipping the raw stems in sugar to eat, like nature’s version of a jolly rancher candy. Rhubarb loves to be paired with strawberries, in a pie, they’re BFFs. The tartness of the rhubarb just intensifies the flavor of the strawberries. Quick cooking tapioca works well as a thickener for pies, especially strawberry rhubarb. Though if the pie is still warm when you cut it, it will be a little runny. If you don't have access to quick tapioca, you can use cornstarch as a substitute, same amount. *Here's my favorite pie dough recipe. In a large bowl whisk together 2 cups flour, a teaspoon salt, 2 teaspoons of sugar. To the flour mixture add 1 cup butter (2 sticks) of unsalted butter that has been cut into cubes. Use your hands to squish the flour and butter together until you have what resembles a coarse meal with some pea-sized bits of butter. To this mixture add 1/2 cup sour cream. Use a fork to incorporate. Then form a large ball of dough with the mixture. Cut into two even pieces. Form each piece into a disk, wrap with plastic wrap and refrigerate for 30 minutes. 2 Toss rhubarb and strawberries with sugar, tapioca, salt, zest: In a large bowl, gently combine the rhubarb and the strawberries with the sugar, tapioca, salt, and orange zest. Let sit for 10 minutes. 3 Roll out 1 pastry dough disk, line pie dish, fill with strawberry rhubarb filling: Roll out your pastry dough and line the bottom of a pie dish with it. Trim to 1/2 inch from the edge. Place the filling into a pastry lined pie dish. 4 Roll out second dough disk, place on top of filling, trim, crimp, score: Roll out the second pastry dough and place over the pie. Trim the edges to an inch from the edge of the pie dish. Tuck the top crust edges over the bottom crust edges and use your fingers or a fork to crimp the top and bottom edges together. Cut slits in the top for the steam to escape. 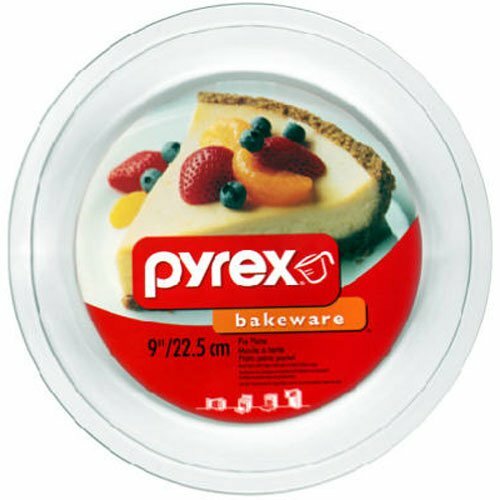 5 Bake: Place pie on the middle rack of a 400°F oven, with a baking sheet on a lower rack to catch any juices that might spill over. Bake for 20 minutes at 400°F, then reduce heat to 350°F, and bake an additional 40-50 minutes longer (50 to 60 minutes longer if doing a 10-inch pie). The pie is done when the crust is nicely browned and the filling (that you can see through the venting holes) thick and bubbly. Remove from oven and let cool on a rack. Hello! All photos and content are copyright protected. Please do not use our photos without prior written permission. If you wish to republish this recipe, please rewrite the recipe in your own unique words and link back to Strawberry Rhubarb Pie on Simply Recipes. Thank you! The Rhubarb Compendium - an excellent information site all about rhubarb. What a easy and wonderful pie! From now on this is the only one for me! I made this pie and it is a very good pie. I’m a purist when it comes to rhubarb and never add strawberries. This is good but I like no strawberries better. I made the recipe exactly as stated (including the crust) and it was delicious! I’ve never made strawberry rhubarb before and I was surprised by how much I loved the flavor. Can’t wait to make it again while rhubarb is in season! This pie is amazing. Great texture, flavor and taste. The dough was a bit hard to work with (sour cream makes it a bit moist), but it was worth the effort. The resulting crust held the filling well and baked up beautifully. Another win for Simply Recipes! PS – Use really ripe, wonderful strawberries, preferably from a farmer’s market and not those plastic things they sell in the grocery store. Flavor is key here and the only way to get great strawberry flavor is with great strawberries. So good! I did cheat and use store-bought crust, but made the filling as directed and it was fabulous. I went with lower amount of sugar and it was the perfect amount of tartness. Pie needs to cool completely to not be runny, but then is just right, not to jelly-like either. Thank you! This is a stupid question but…do u add less sugar if u want it tart? Yes, less sugar will mean more tart, she just used the lower amount suggested in the recipe. Yes this is my first time making this Strawberry Rhubarb Pie. I’ve haven’t tasted it yet I’m still baking my pie still but it looks delicious and yummy! I’m waiting patiently for the pie to get done. This was a great recipe – just the right amount of tartness and sweetness! Thank you So much for this RESIPE. I also made your crust turned out great it is in oven right now… Looks and smells great can’t wait to eat it tomorrow! DELICIOUS!!! Without a doubt, the BEST! Your pie was delicioso! And the sour cream crust was so light and heavenly! Thank you for sharing this recipe! Delicious re!cipe. I have made strawberry,-ruhbarb pies before, however, this is the best. I also made the pie crust, tender, tasty and flacky. I am a cinnamom person and did add it to the crust. Butter on top of filling as well. Thank you for a wonderful dessert. I made this last night. Strawberry Rhubarb is my DH favorite pie. Drum roll please…..DH said it was the best Strawberry Rhubarb pie he has had in his life! I did use my own crust recipe and I did not have an orange so I used lemon zest. Thanks for the great recipe. My family loves this pie! I have been making this pie since you first posted the recipe and it is my husband’s very favorite. He asks for it whenever pie might be in the offing, including Thanksgiving and Christmas, which initially posed a problem due to rhubarbs seasonal availability. I tried freezing it, but when thawed the delicious tartness was all in the liquid, which made the pie filling much too soupy if included and much to bland if drained. I solved my problem by using all of the liquid and precooking the filling with three tablespoons of corn starch. Incidentally, this also solved my problem of overcooking the crust or having the filling boil over. I have experimented with various amounts of corn starch and tapioca have found that three tablespoons of cornstarch cooked in the filling and about a tablespoon of tapioca mixed in right before adding it to the crust results in a nicely set pie that is not too jellied. Oh, and I usually make a 10 inch pie. A perfect recipe from a perfect person. 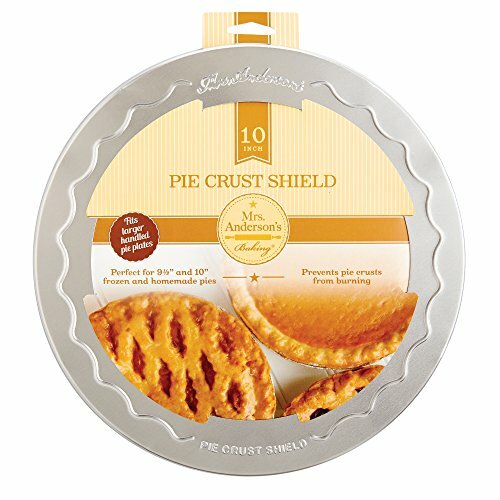 Perfect for National Pie day in a mere few days. Missing you, Miss Elise!